Jan’s Yarn Basket didn’t acquaint its expectations, Jan finding once you’ve fulfilled a yarn customer’s satisfaction, it might be an extended time before their application needs are apprehended again. A diversification to the business enterprise was in discovery, a new sweeping interest was found and with it a booming emporeutic bodega for its products, the world of ceramics. Jan’s interest was spiked, a purchase of a small kiln finding in her a resonant talent, utilizing the kiln’s application a production of ceramic items was ably produced and with it an artistic capacity for painting and glazing, a natural-born endowment was present. With a desire to expand her knowledge and ability Jan making inquiries discovering a Wichita enrollment for professional tutelage, an enlistment in a structured class sponsored by Duncan, the most renowned name in ceramics. 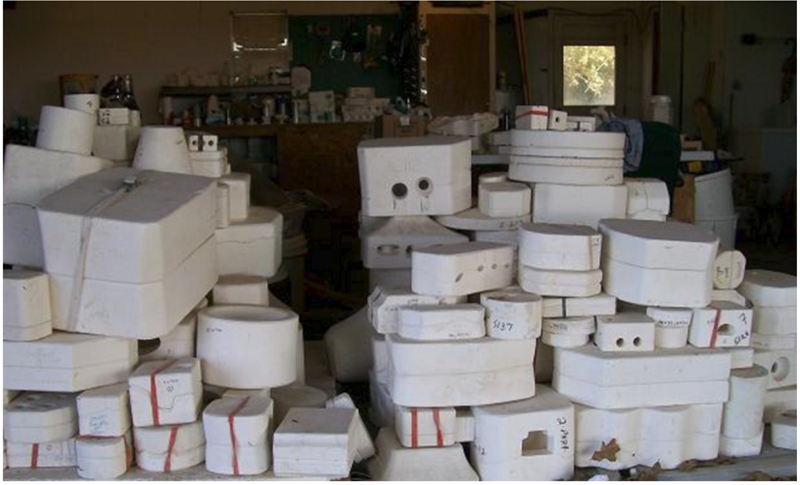 Upon completion of the instructional classes in Wichita, a certificate of professionalism was issued, a recognition by Duncan as a Certified Duncan Ceramic instructor. 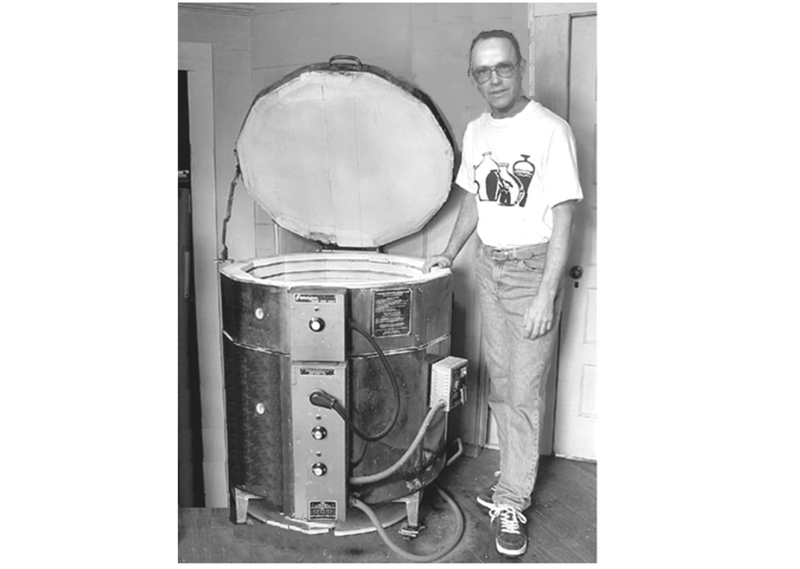 The expansion of Jan’s success presented a manifold of complications for Gary, his enthusiasm for her accomplishments never waning and with it a discovery of a larger kiln, its use discontinued by a community center in Medicine Lodge, a Paragon, three stage, 22.5 inch diameter, 9600 watt, 240 volt acquisition requiring a 60 amp breaker, a paramour of a kiln. Once acquired a discern was apparent, the application would have to be stationed in the garage and their residence didn’t possess a 240 volt appendage. One advantage of residing in a small community is that you pretty much know everybody, Gary visiting with Alan Hargett, the proprietor of Alan’s Electric, the two agreeing to meet in Gary’s 11th St. residential garage. Alan wanting to see exactly what he had to work with and to discuss the expenditures for applying a 240 volt application for the kiln. A circumstantial happening, Alan taking notice of Gary’s golf clubs in garage, the uniqueness of the pull-cart and club arrangement. The cart, a 24 inch wide appliance that held two rows of seven clubs, each individually pocketed, with side and rear zippered compartments, totally unlike a normal golf club cart, which resembled a bag with wheels. Alan was intrigued with the cart and the matched set of clubs, offering to purchase them. Gary golfing was nil since moving to Kiowa and he could see Alan’s intense discernment with the golf inducement made a proposal, the clubs and cart in exchange for the 240 volt garage installation and kiln hook-up. Gary with a sense of melancholy sadly exchanged his past memories of the cart and his golfing experience for the envisioned projection of his wife’s auspicious ambition. The remnants of the Yarn Basket remained, but a new designation was enhanced, Stateline Crafts, the endeavor fulfilling unimaginable success. Jan’s expertise acquiring prospective students, her work ethic surmounting an extensive inventory of the artful achievements. Gary now involved making numerous journeys to Wichita to purchase gallon containers of liquid slip, the substance issued to the mold, when solidified inundates a product, and with the increased business, the frequent 90 mile vestige beginning to becoming a burden. Gary coming up with a solution rather than having to drive to Wichita, surmising why not amalgamate his own slip by purchasing the contents of the product in bulk form, Talc, Feldspar, Soda Ash, Sodium Silicate, all available in twenty-five pound discharges. With the purchase of the slip ingredients, his next concern about a mixing vat was answered, the original house bathtub having been replaced and was still present at the rear of the property, he had found a mixing vat. A blending formula secured, the adroit process of an electric drill the source of coalesce, Gary having accomplished his goal. He admittedly could never achieve the proficiency of Jan in the cleaning, sculpturing, painting, glazing and firing of the product that she had attained. The blending of slip was his first art, adjusting the ingredients, professing an almost porcelain clarity, the local ceramic participants aspiring his product superfluous to the commodity they could buy in Wichita. A further endeavor intrigued Gary, the manufacturing of Molds, again research found an acknowledgement. His first attempt was a request from Jan’s best friend Pam Ott, Pam having brought a handled adorned soup bowl, questioning if Gary could reproduce it. Using the one of a kind bowl as the subject, the three stage initial process beginning with the use of wooden frames, molding clay and plaster, a mold was accomplished, but the final test was yet to come. Pouring the slip into the mold to solidify, the time of reckoning, finding the mold giving life to solidified extraction of a handled soup bowl from its cavity, slightly smaller but an exact reproduction to be cleaned and fired, a new frontier was accomplished. The movie E.T was the most talked about current cinema attraction, Gary having the opportunity to take Robert and Sandi during its presentation in Kiowa. 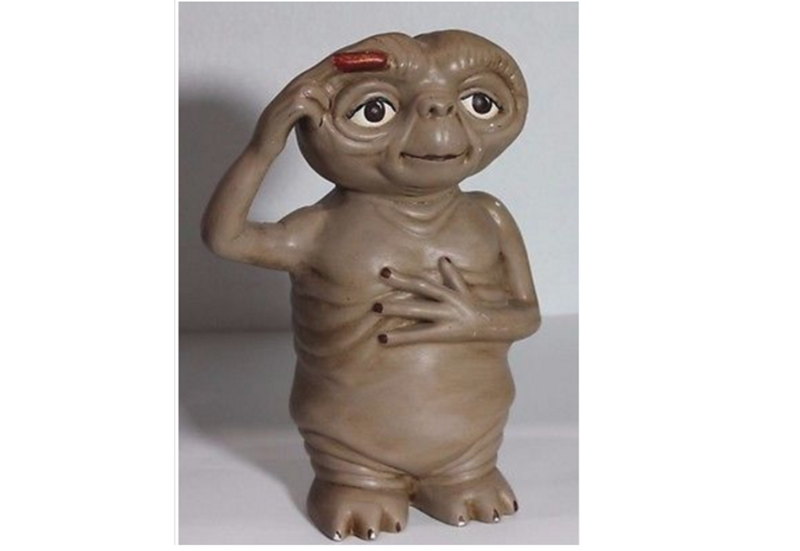 The memorabilia depicting the extraterrestrial portrayed in the film was a bestseller, including the figurine of his likeness. 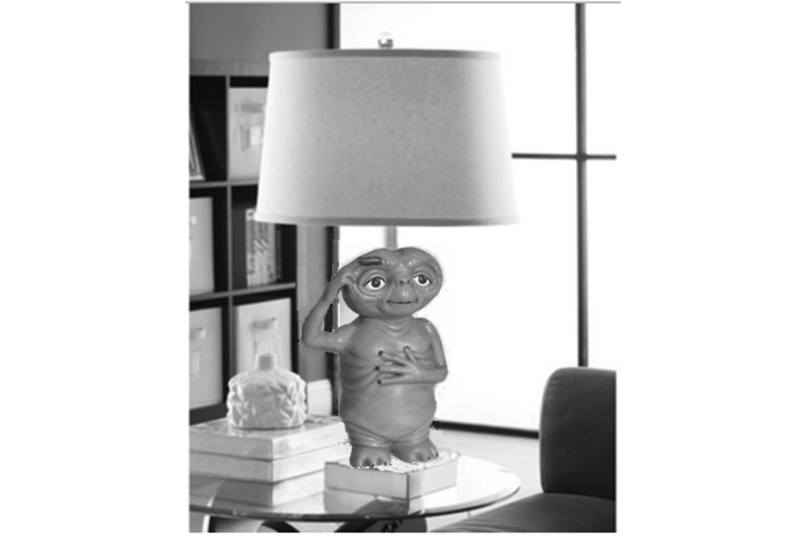 An inquiry was made at Starlight Ceramics, the Duncan mold distributor in Wichita about E.T., discovering you could purchase an unfired greenware product, but because of the copyright and patent assignments, a mold of the lovable E.T. was unavailable for reproduction. The couple proceeded to purchase an unfired greenware replica, an unspoken concept being formulated involving Gary’s newly discovered skill of Mold production. Gary always knew there was some buccaneer in him, without hesitation, accepting the recently fired and finished E.T. figurine from Jan, proceeding carefully to pirate a mold for reproduction. The mold was established, E.T. became a reality and with the purchase of brass rods, switches, cords, lamp shades and some expertise, Stateline Crafts produced a host of E. T.’s and E.T. lamps, a paramount item at the craft expositions, E.T. found a home. This entry was posted on August 2, 2016 at 6:37 pm and is filed under Uncategorized. You can follow any responses to this entry through the RSS 2.0 feed. You can leave a response, or trackback from your own site.